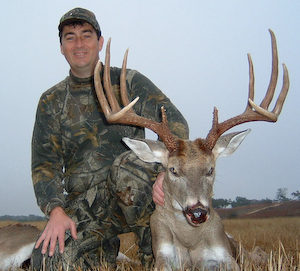 specializes in providing quality Whitetail Deer hunting opportunities. Hunt dates this year are from October 1 to February 28. 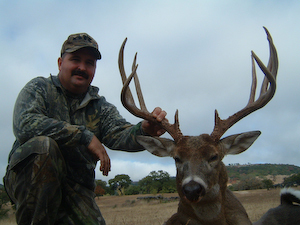 We specialize in Whitetail Management hunts and Whitetail Trophy hunts. Read a few of the testimonials. We can provided pole, fishing gear, and lures. As with any hunt, a harvest is not guaranteed. Texas hunts require a Texas License. Non-Texas residents must acquire a license from applying at the Texas Department of Parks & Wildlife. All hunters born after 9/1/1971 must have a Hunters Safety Permit. Gratuities for guides and cooks are greatly appreciated.